Screen printing is arguably most versatile in printing, almost everything can be used as substrate. 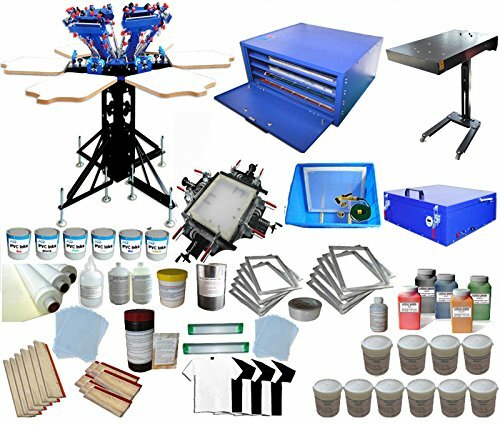 Our company provide this 6 color 6 station screen printing package with all stuff needed by a small screen printing workshop. we show buyers skilled operation and application by words and video, achieving integration of technique ,equipment, material and service. Comparing with the original 6 color 6 station printer, this new type machine has a function of micro-adjust/registration.New design metal stand could adjust the height from 28"-35".If you want to do precise color matching, you can use those small red handles to movethe screen frame right or left slightly. It will be a good choice forcolorful printing.